The Third Battle of Gaza in November 1917 marked the beginning of the successful British campaign to conquer Palestine. One of those involved was Captain Walter Bagot-Chester, who won the Military Cross (MC) for his contribution. 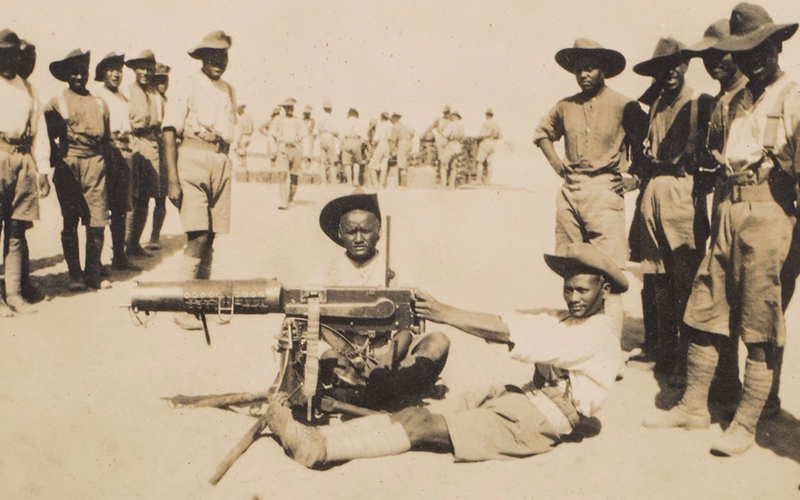 Bagot-Chester’s unpublished war diary and photographs offer us a unique eyewitness account of this bitter desert struggle. They also highlight the fighting prowess of the Gurkha soldiers he commanded. In January 1917 British Empire forces, under Lieutenant-General Sir Archibald Murray, advanced across the Sinai desert, having constructed a supply railway and a water pipeline. Murray’s objective was Palestine, but although he beat the Turks at the Battle of Rafa (9 January 1917), two unsuccessful attacks on Gaza in March and April 1917 saw him replaced as commander by General Sir Edmund Allenby in June. Allenby brought a greater vigour to the Egyptian Expeditionary Force. But, more importantly, he brought reinforcements at a time when Turkish strength was being whittled away by the Arab Revolt. This had started the previous June and partly through the efforts of Colonel TE Lawrence – better known as ‘Lawrence of Arabia’, was helping to undermine Turkish strength. By October 1917 the British out numbered the Turks by two to one in infantry and eight to one in cavalry, in one of the few theatres of war where mounted troops could still be used effectively. To wrong-foot the Turks Allenby now made a feint towards the heavily defended Gaza sector before launching his main attack further east against Beersheba (31 October 1917) on the northern edge of Sinai. Allenby’s British Yeomanry, Australian and Indian cavalry units were particularly successful. The capture of Beersheba outflanked the Turks who were forced to retreat. The Third Battle of Gaza (1-2 November) then began and on 7 November 1917 Allenby entered the town. 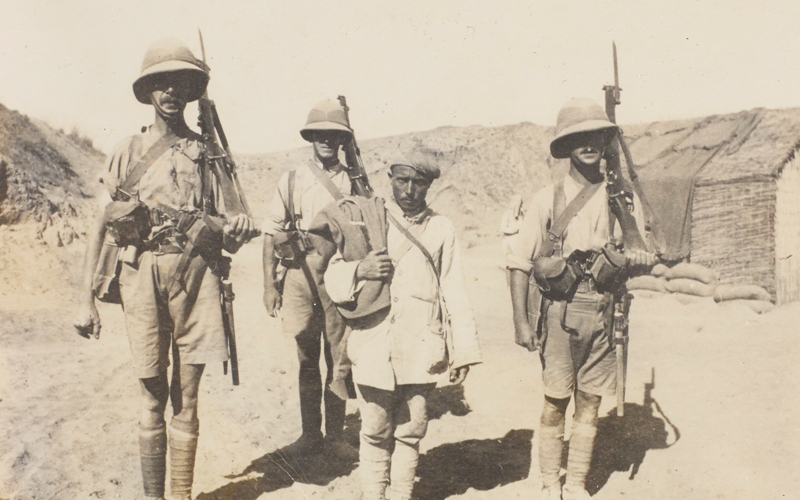 As part of Allenby’s testing of the Gaza defences, the 75th Division, which included Bagot-Chester’s unit, 3rd Battalion The 3rd Queen Alexandra’s Own Gurkha Rifles, was tasked with aggressive raiding of the enemy lines. Such raids, allied with regular bombardments, kept Turkish attention fixed on the Gaza front, while the developing threat to their east went unnoticed. On the night of 31 October, Walter and 197 men from the 3rd Battalion were ordered to raid Outpost Hill, part of a chain of redoubts and fortifications. After ‘giving each man a tot of rum’ to ward off the early morning cold, the troops gathered at Penton’s Gully. At 2.45am heavy howitzers opened fire on the enemy trenches. The Gurkhas then moved to take up a position parallel with their objective. This meant leaving the cover of the wadi and lining up on the slopes leading to Outpost Hill. At zero hour, 3am, the creeping barrage of 18-pounders started. Walter and his men advanced so well that they caught up with their own artillery fire. The guns, which should have been firing on Middlesex Hill and the Maze, were actually dropping some of their shells 50 or 100 yards short of the Turkish wire. ‘They were falling amongst us, but in spite of this the men carried on a steady advance and we all arrived on the top of the hill at zero + 9 minutes, i.e. the moment when the barrage was timed to lift. We thus arrived 2 minutes sooner than we were timed to do. ‘A few Turks were caught outside their wire. One was seen rolling down our side of the enemy’s parapet with a Gurkha hanging on to the leg of his trousers. In the firing line a few Turks were found and killed – 2 were manning a Lewis Gun and of these one was killed by a slash in the face with a kukri and the other was made prisoner. ‘At several points individual bayonet encounters took place, invariably in our favour. One man accounted for 3 Turks with whom he fought and another encountering 2 Turks in a CT bayoneted the first and kukried the second. The majority of the Turks were found taking shelter in some fairly deep dug outs in the support trench. These were systematically bombed and the occupants were either killed by the explosions or kukried as they emerged. A few were taken prisoner. 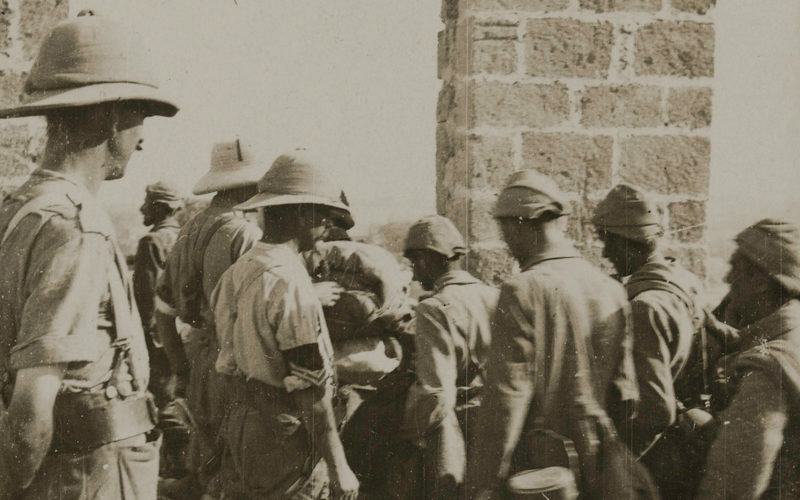 The Turks suffered 21 killed and nine wounded, but Bagot-Chester believed ‘more were killed and wounded by bombs in the dug outs but owing to lack of time… these were not counted’. Casualties of the 3/3rd were two killed, three severely wounded and 22 slightly hurt. The raiders captured 18 prisoners and one machine gun. British and Gurkha troops again attacked Outpost Hill and its adjacent positions on 6-7 November. Little opposition was encountered and, on these posts being captured, patrols discovered that the enemy was retiring. Bagot-Chester’s diary recorded that ‘the Turks had already bolted’. Three lines of trenches were subsequently occupied and in the days that followed they continued to pursue the retreating Turks, who launched repeated counter-attacks. One, near El Arish Redoubt ‘was decimated by our barrage fire, MG and rifle’. 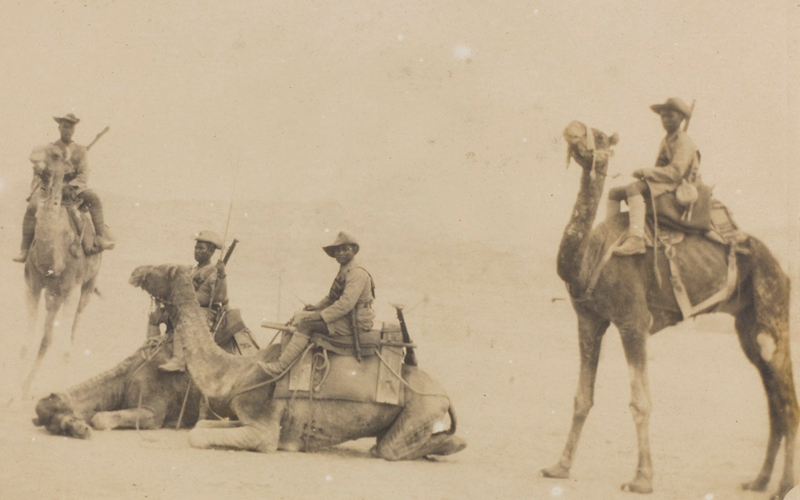 Walter wrote that ‘we are well on the way to Gaza itself and the cavalry are working round between Gaza and the sea’. The following day the 3/3rd Gurkha Rifles became the first unit of 75th Division to reach the outskirts of Gaza town. General Allenby also pressed on with his offensive and defeated the Ottomans at the Battle of Mughar Ridge on 13 November 1917, before capturing Jaffa three days later. His forces then pushed north and after another successful offensive entered Jerusalem on 11 December 1917. 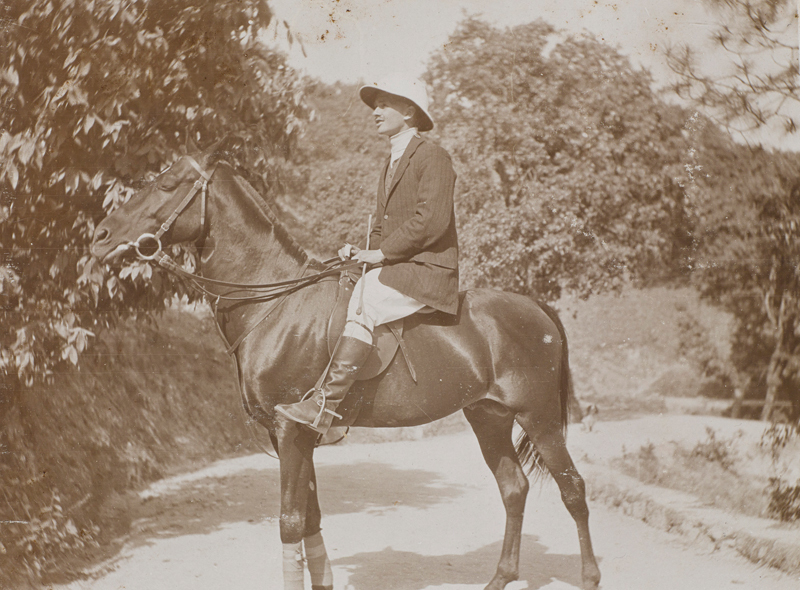 Walter Greville Bagot-Chester (1887-1918) was born on 15 March 1887 at Elford near Tamworth in Staffordshire. He was the son of Reverend Algernon Stewart McKenzie Bagot-Chester, rector of Elford, and Emily Mary Dillman Pyne. 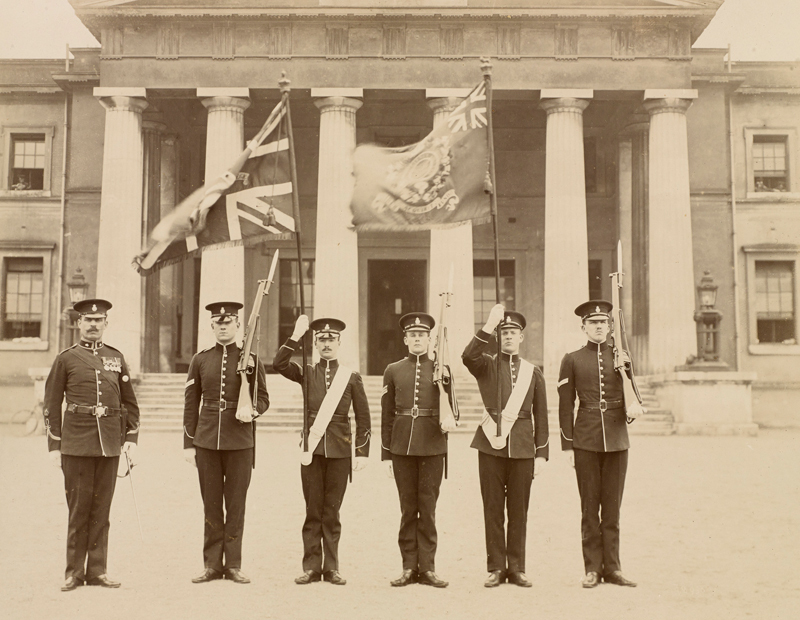 After attending Sandhurst, Walter was commissioned into the Indian Army with the 3rd Queen Alexandra’s Own Gurkha Rifles in September 1908. He served with the 2nd Battalion and was promoted to lieutenant in December 1910. On the outbreak of war in August 1914, the 2nd Battalion was stationed at Lansdowne cantonment in Garhwal, India. Following mobilisation it was despatched from Bombay to Europe with the 20th (Garhwal) Brigade, arriving in Marseilles on 12-14 October 1914. Bagot-Chester was sent to France in advance as an embarkation officer ahead of their arrival. He later took part in the Defence of Festubert (23–24 November 1914) and Givenchy (20-22 December 1914), and the Battles of Neuve Chapelle (10-13 March 1915) and Aubers (9 May 1915), being Mentioned in Despatches on 23 July 1915. In September 1915 he was promoted to captain. That month his battalion fought at the Battle of Loos (25 September-8 October 1915) where Walter was severely wounded. His right shoulder was shattered and he sustained six other injuries. After being hit, Walter and a wounded Gurkha had to lie for over 12 hours in a shell hole under heavy fire and pouring rain, until they could eventually creep back to British lines. Bagot-Chester spent the next year recovering from his wounds, but he left Southampton for Egypt in October 1916 to rejoin his battalion. The 2/3rd had been in the Middle East since November 1915 helping defend the Suez Canal. Walter was appointed battalion adjutant in December 1916 and in January 1917 he was transferred from the 2/3rd to the 3/3rd Gurkha Rifles, which was then being formed as a new battalion. This unit joined 233rd Brigade, and in June 1917 took over a section of the defences near Rafa in Palestine before joining the advance on Gaza in late October. ‘At about 8am the Turks started shelling us, and so continued all day. The shelling was very heavy and came from 3 directions. Presently the Turks were to be seen advancing to the attack of our hill from an opposite ridge. They were met by heavy rifle fire from our side but they soon reached the bottom of the valley and were under cover of the dead ground of our hill up which they were now climbing showing themselves less frequently. ‘As time went on our ammunition began to get exhausted and our numbers considerably lessened owing to the continuous shellfire… Towards 12 noon we decided, owing to the thinned ranks, that we must hold on to the walled mosque alone as a keep… We put riflemen at the windows and got a couple of Maxim guns in the minaret… By doing this were rather asking the Turk to turn his heavy guns on to the mosque but it was only from the minaret windows that a good view could be obtained and where effective fire could be directed. We felt confident that we could hold on till dark or any hour until the situation became relieved by our attack developing on our right. ‘But at 1pm the Turks commenced shelling the mosque itself…. This they shelled systematically with intent to demolish the place altogether. We had about 50 wounded on stretchers inside and the poor fellows had a terrible time with stones falling all around them, any one of which was sufficient to kill a man… Shells continued to fall in the mosque, on the roof, against the walls… The whole place became full of brick dust so that from outside, so we were told, the mosque appeared on fire. Five of the 3/3rd’s seven officers were casualties, including Bagot-Chester who was hit by shell and stone fragments. And 380 of 722 other ranks were killed, wounded or listed as missing. Bagot-Chester remained on duty, however, until 25 November 1917, when he was eventually evacuated to 66th Casualty Clearing Station at Bela. Walter was then in the British Red Cross hospital at Giza until 26 January 1918 when he again rejoined his battalion, taking part in the advance north of Jerusalem.